Our Inverness office, together with CKD Kennedy Macpherson of Mayfair, London, are shortly launching the sale of Dalmagarry Estate, a fine sporting Estate with an impressive driven grouse moor. Our Inverness office, together with CKD Kennedy Macpherson of Mayfair, London, are shortly launching the sale of Dalmagarry Estate, a fine sporting Estate with an impressive driven grouse moor, situated close to Tomatin, in the beautiful and easily accessible Scottish Highlands. Dalmagarry, located only 12 miles from Inverness, and within easy reach of the city's international airport, which offers regular flights to the south and parts of Europe, extends to some 6,670 acres and provides three separate days of driven grouse shooting, yielding an average annual bag of 761.5 brace over the last three years. 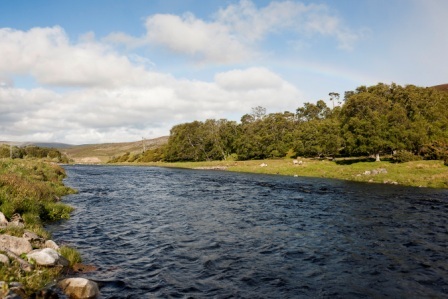 The estate includes one and a half miles of salmon fishing on the renowned River Findhorn and boasts its own salmon hatchery on site with a capacity of up to 250,000 eggs/fry. It also enjoys red deer stalking, roe stalking, excellent rough shooting and duck flighting, making it a complete, all-round sporting estate offering sporting for every enthusiast, as well as providing the rare opportunity of achieving a MacNab - namely bagging a red deer, shooting a brace of grouse and catching a salmon, all within one day. Complementing the sport is a fully modernised and refurbished five bedroom, traditional sporting lodge with an annexe and additional garden cottage, set in secluded grounds with a delightful river frontage. There are three further houses which have either been recently modernised or newly built, with some excellent farm buildings and a game and deer larder. The Estate also includes an in-hand farm with the sheep enterprise being an integrated part of the grouse moor management strategy with a strong flock of approximately 600 ewes. Whilst the residential property market continues to face extremely challenging times, the sporting, farm and forestry sector has remained robust throughout the downturn. The Highlands boast some of the most spectacular sporting estates around and it is the quality and variety of the sport that underpins the reputation and consequently the interest they attract. 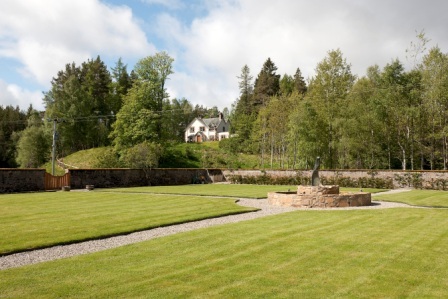 Estates such as Dalmagarry represent an excellent investment opportunity and a safe haven for capital in these turbulent economic times, whilst, of course at the same time providing a great amount of pleasure and maintaining jobs especially in fragile, rural communities. Shooting, fishing and stalking generate significant income for the rural economy. Estimates have put the revenues generated at approximately 275 million a year. Grouse shooting alone generates some 30 million a year and supports 950 full time jobs in Scotland as a whole. John Bound, partner of CKD Galbraith, said: "Dalmagarry is a fine example of a truly mixed sporting estate with the chief focus being on the quality grouse moor. With grouse salmon and red deer all readily available, Dalmagarry is one of only a handful of estates that can offer the much sought after opportunity of bagging a MacNab'. 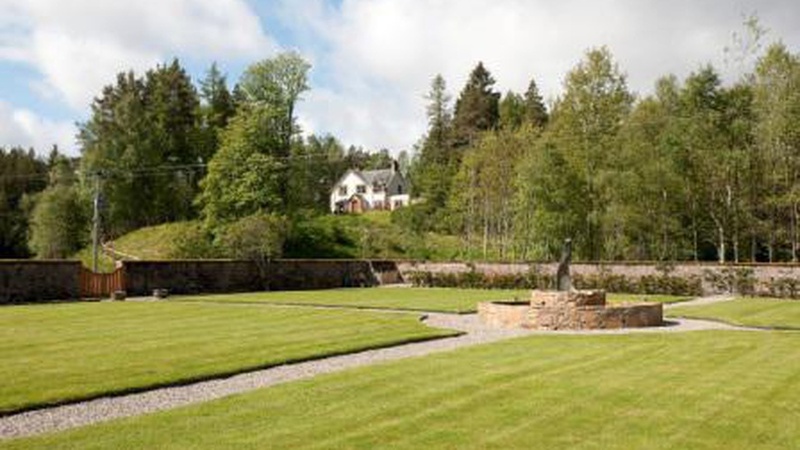 "It is unusual for a diverse Estate offering such a wide variety of sport, together with a lovely house, cottages and useful buildings to come to the market in an accessible and beautiful area of the Scottish Highlands. With a guide price 5 million we expect keen demand." To find out more contact our Inverness office.